by Senator Jeff Sessions: It is time for an honest discussion of immigration. The first “great wave” of U.S. immigration took place from roughly 1880 to 1930. During this time, according to the Census Bureau, the foreign-born population doubled from about 6.7 million to 14.2 million people. 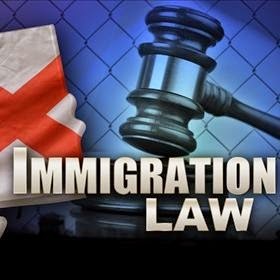 Changes were then made to immigration law to reduce admissions, decreasing the foreign-born population until it fell to about 9.6 million by 1970. Meanwhile, during this low-immigration period, real median compensation for U.S. workers surged, increasing more than 90 percent from 1948 to 1973, according to the Economic Policy Institute. In the 1960s, Congress lifted immigration caps and ushered in a “second great wave.” The foreign-born population more than quadrupled, to more than 40 million today. This ongoing wave coincides with a period of middle-class contraction. The Pew Research Center reports: “The share of adults who live in middle-income households has eroded over time, from 61% in 1970 to 51% in 2013.” Harvard economist George Borjas has estimated that high immigration from 1980 to 2000 reduced the wages of lower-skilled U.S. workers by 7.4 percent — a stunning drop — with particularly painful reductions for African American workers. Weekly earnings today are lower than they were in 1973. This federal policy continues at a time when robotics and computerization are slashing demand for workers. One Oxford University professor estimates that as many as half of all jobs will be automated in 20 years. We don’t have enough jobs for our lower-skilled workers now. What sense does it make to bring in millions more? If no immigration curbs are enacted, the Census Bureau estimates that another 14 million immigrants will come to the United States between now and 2025. That means we will introduce a new population almost four times larger than that of Los Angeles in just 10 years’ time. The percentage of the country that is foreign-born is on track to rapidly eclipse any previous historical peak and to continue rising. Imagine the pressure this will put on wages, as well as schools, hospitals and many other community resources. It is not mainstream, but extreme, to continue surging immigration beyond any historical precedent and to do so at a time when almost 1 in 4 Americans age 25 to 54 does not have a job. What we need now is immigration moderation: slowing the pace of new arrivals so that wages can rise, welfare rolls can shrink and the forces of assimilation can knit us all more closely together. But high immigration rates help the financial elite (and the political elite who receive their contributions) by keeping wages down and profits up. For them, what’s not to like? That is why they have tried to enforce silence in the face of public desire for immigration reductions. They have sought to intimidate good and decent Americans into avoiding honest discussion of how uncontrolled immigration impacts their lives. But that dam is breaking. The elite consensus is crumbling — and the enforced silence on this critical issue will end. U.S. Senator Jeff Sessions (R-AL) serves on four Senate committees: Armed Services, Budget, Environment and Public Works, and Judiciary, where he is Chairman of the Subcommittee on Immigration and the National Interest. This article was also run on the The Washington Post and was furnished by Sen. Sessions office to the ARRA News Service Editor to share with readers. Tags: Jeff Sessions, America, curb immigration, To share or post to your site, click on "Post Link". Please mention / link to the ARRA News Service. and "Like" Facebook Page - Thanks!